At this stage, you and a partner start the creative process by reviewing the written description of your customer’s desired outcome and ideating potential alternative solutions to your customer’s problem. If you want to learn more about User-Centered Design, check out Stanford’s d.school Crash Course Playbook! At this stage, you want to develop rough sketches in order to visually describe your ideas. The purpose of this phase is to convey an idea, not a finished product. The goal is to be able to share this with your peers or target customers in order to receive very early stage feedback. They are quick, cheap and easy to build. At this stage, you want to develop more refined versions of your solutions, using more sophisticated methods. The goal of high fidelity prototypes is to allow you to dig deeper into the user experience and overall workflow of your functionality. Your high-fidelity prototypes should be interactive and highlight the transition between states based on the behavior of your user. They represent the final stage before the product is actually coded up by a software engineer and released to a user. 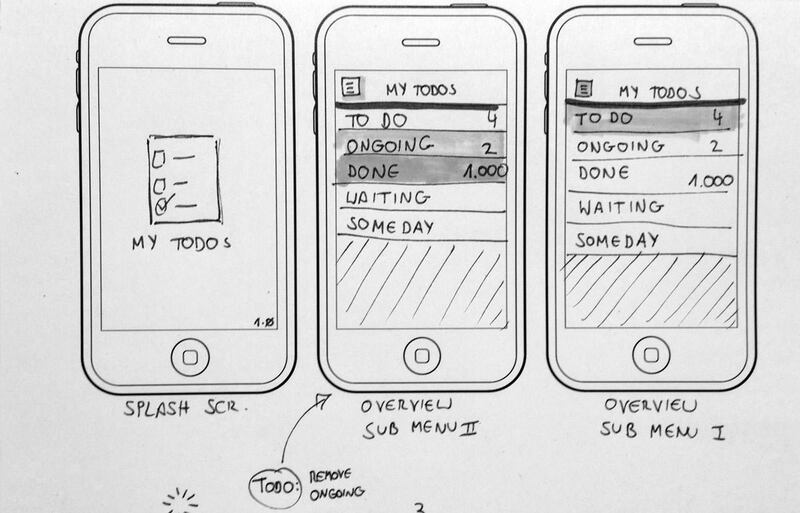 A useful way to arrange multiple high-fidelity prototypes is using storyboards. High-fidelity prototypes should look and feel like finished products, but lack some of the back-end functionality. The main thing to takeaway is to start simple and iterate, adding more and more detail along the way. Leverage your user’s feedback to guide your design decisions. I hope you’ve enjoyed this post and are well on your way to becoming a skilled product designer. In the next post, I’ll cover the basics of a software development process!